Again, while the Worldcup is going on, the European Parliament is trying to pass a questionable law. Should this law be passed, everything you upload to the internet will be analysed - automatically by a potentially error-prone algorithm. If there is any doubt, your upload will never reach the world wide web! Imagine, you want to upload a picture of your dog, or your family, and you notice the upload failed just because an algorithm decided that YOUR picture already exists and is copyrighted. But that is not all! YOU can help stopping this! Sign the petition and send this message to all your friends! The fight is not over yet. 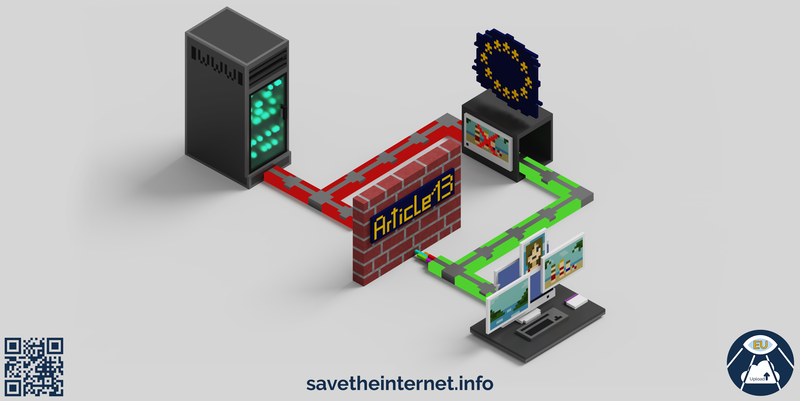 We need your help to save the internet as we know it.